Okay folks, it’s time to check in on your New Years Resolutions. I’ve never been one to set resolutions but I know many of you do. Instead of resolutions, I’ve learned how to create balance in my life each day so that it carries me week to week, month to month and year to year through a lifestyle that works for me. I’m not saying this is something that you all need to do but I’ve been receiving so many questions about how to keep up with eating healthy and taking care of ourselves without dieting or depriving ourselves or setting ourselves up for resolutions that are too drastic. 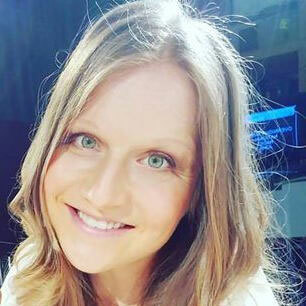 Here are a few things I’ve learned throughout the last 10 years of my chronic health journey. These tips have all helped restore my overall health, especially my gut health (for more information on gut health, check out my Heal Your Gut Solution Program). I hope some of this resonates with you and inspires you to live each day with your overall wellness in mind instead of setting a goal that will backfire and suppress you. Let Go. Let go of your control. I grew up in a home that was lovely (love you Mom/Dad) but my parents tried to be in control over everything and that’s how my sister and I were raised. It’s probably how you were raised, as well. Golly, up until 3 years ago I thought I could control everything. I was always in control, until my health spiraled out of control and I learned how to surrender and let go. And guess what? My life has become so much easier. It flows. I glide through my day. I still see clients and family and friends trying to force things to happen or force people to act the way that they want them to be, but here’s the name of the game: Let it all GO. Untangle yourself from the control you’ve put over your food, health, life, etc. We put so many rules on our lives and we often forget how to enjoy life. I spent 3 decades of my life in control- striving for something that I don’t even know what it was that I was pushing so hard for. Now that I’m on the other side of it, I realize the struggle is NOT real. You don’t have to struggle. You don’t have to push. Letting go has allowed my body- and my nervous system to relax and rest and with that, my body has healed beautifully. Feed Your Good Bacteria. By now, you’ve heard me talk about how almost 70% of our immune system is located in our gut. That’s a whole lotta immune system, isn’t it? 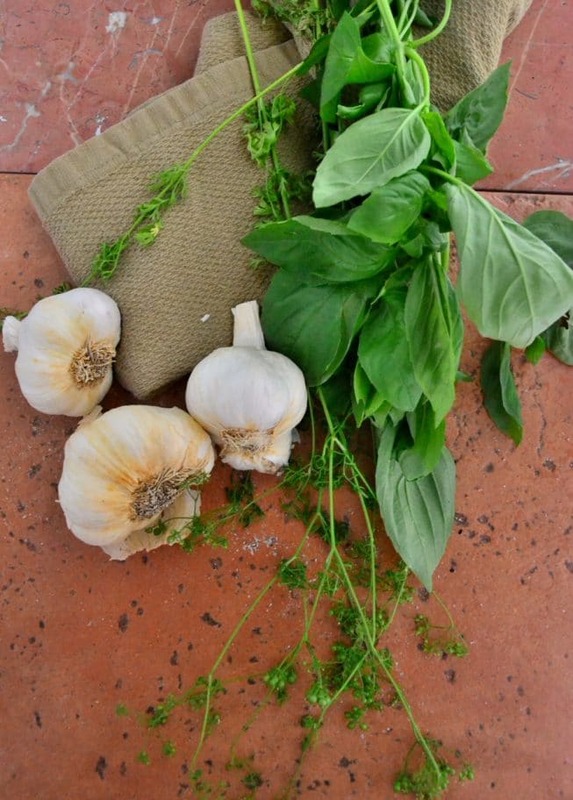 So, what can you do to help keep your digestive system healthy all year long? Day after day, week after week, month after month, year after year? Take quality daily probiotics from a brand you can trust. For me, that’s Align. 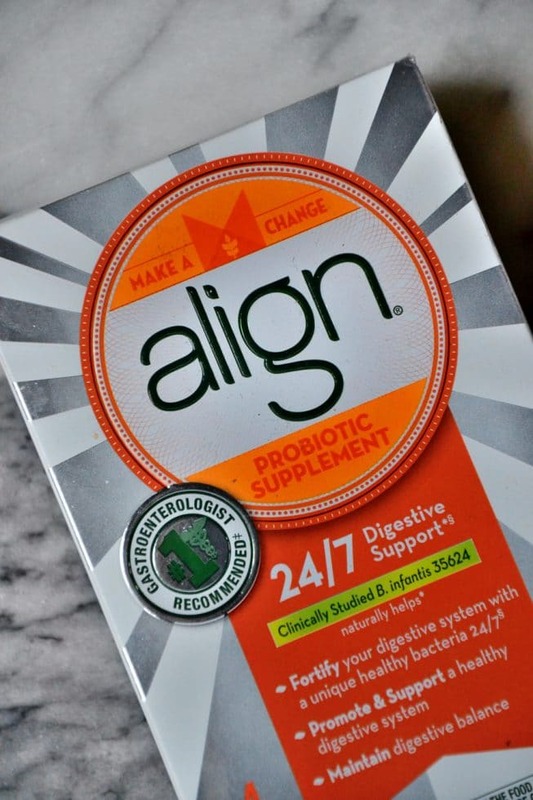 Align isn’t a quick fix- just like your New Year’s resolution isn’t a quick fix, however probiotics work on building your good gut flora (good bacteria). We are MORE bacteria than we are cells, so it’s key to get that good bacteria in your gut. 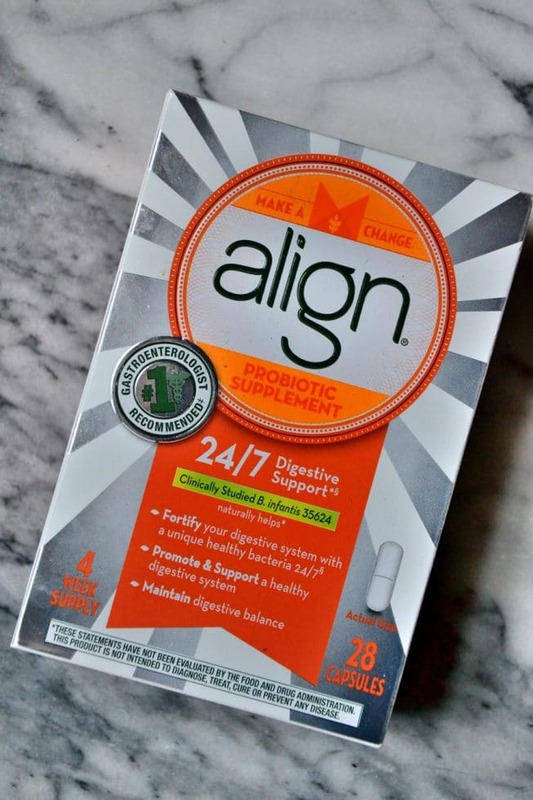 Align can help promote a healthy digestive system when you use it on a daily basis, like I do. Only Align contains B. infantis 35624™, a unique, patented, pure-strain probiotic scientifically known as Bifidobacterium 356241. B. infantis 35624 naturally helps* fortify your digestive system with a unique healthy bacteria 24/7. Here’s a coupon for you to try out Align for yourself today. Breathe. This is a big one. We should all be breathing through our nose. NOT our mouth. Cut out that mouth breathing- it will just set you up for a disaster. So many health issues are compounded because people don’t know how to breathe. Use your nose, folks! Smile. You have more serration in your gut than you do in your brain. Feed your gut and you’ll drastically see a shift in your mood. Trust me on this. Focus on pumping in that good bacteria (more below on this in the Eat Clean bullet point below). Drink Clean. Water filters are key. I’m not talking about that water filter that is made of plastic and sits in your fridge. It’s useless and not cleaning out anything. You need to remove the fluoride from your water, which is tanking your thyroid health and calcifying other endocrine organs as well as killing the good bacteria in your gut. Check out my trusted water filter information HERE: Home Detox. Eat Clean. As I mention in my book, Eating Clean, foods have so much more to them than calories, and yet many people think caloric intake is the bottom line. Au contraire, my friend! The number of calories a food has is merely information, and as with any other kind of information, less isn’t necessarily better, just as more isn’t necessarily bad. A 100-calorie snack pack is in no way equal to 100 calories of an avocado. Counting calories is the last thing you should worry about when you’re trying to eat clean. 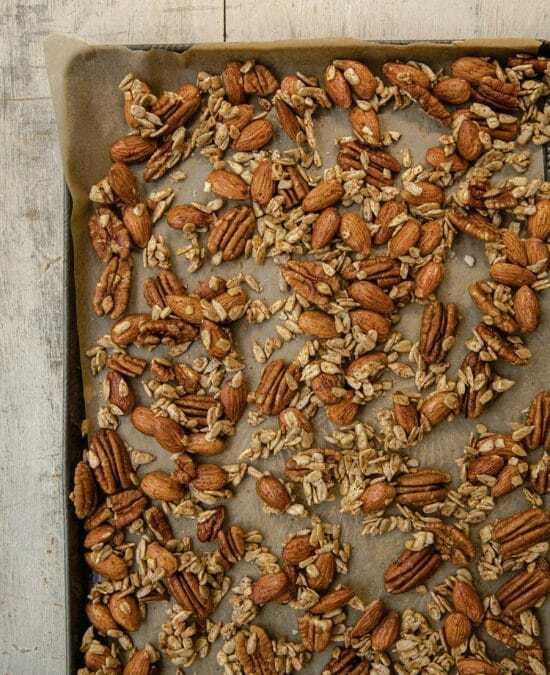 A handful of nuts may be calorically dense, but there’s a lot of goodness packed in there you can’t get somewhere else. Choose foods based on how they nourish every cell in your body, rather than by how many calories you believe they will glue to your waistline. When you’re eating clean, believe it or not, those calories don’t add up to love handles and saddlebags. Live Clean. After years of struggling with mysterious illnesses, visiting doctor after doctor, taking test after test, and spending hundreds of thousands of dollars on my health, it all boiled down to one simple answer for me: toxicity. As I mention in my book, Eating Clean, our bodies were built to deal with natural pollution created by digestion, respiration, and metabolism, but they’re not designed to handle the enormous amount of artificial pollutants we’re exposed to in today’s chemical-filled world. The only way to deal with this toxic overload is to assist the body’s natural self-cleansing mechanisms with detoxing with the above and below steps! That’s a healthy detox. Stay Present and Think Clean. This one might seem like an annoying bullet point. I know you are rolling your eyes. I did the same thing the last few years. I was forced to slow down. Like REALLY slow down and that’s what got me to learn how to shut off my mind from freaking out about future events or ruminating over the past. You see, we ALL freak out about something that could happen in the future- which isn’t likely and then we carry around our past like a bag of bowling balls on our back. I know all of you do it. We’re human. I did it for 3 decades of my life without even being conscious of it. Now that I’m conscious of my thoughts and have learned how to direct my energy and thoughts (more on this coming soon), I no longer have stress. Things happen and I let them go. Good things happen and I smile, enjoy them and move on. Bad things happen and I sit with myself and let it go and move on. This advice has come to me from so many different directions and so many different people that I couldn’t count them all if I wanted to. Life is about ups and downs. Stay with the present moment, notice when negative, fearful or anxious thoughts come into your mind and let them float away like a cloud. Sleep Soundly. Get yourself to bed by 10:30 PM the latest and wake up at 6:30 AM the latest to get your circadian rhythms in check. This will help balance your hormones and your overall energy levels. That’s a few tips for now. More to come! I just sliced an apple, sat down to eat it while checking my email. I can’t tell you how happy I was to see “the healthy apple” pop up. It’s been two years since I had Lyme disease. I have not felt normal since before the lyme. Do you have any advice. Thank you so much.